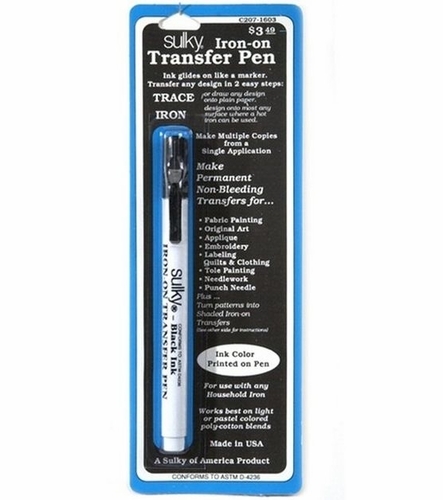 Transfer designs onto most iron-friendly surfaces with this permanent, non-bleeding pen. Perfect for fabric painting, needlework and labeling clothing. Make multiple copies from single application.